Daniel K. Newman, the founding attorney of the Law Offices of Daniel K. Newman, has over 30 years of experience representing clients in family law, divorce, child support, and more. The Law Offices of Daniel K. Newman was established with one goal in mind: to help clients achieve the best possible results. Striving to meet this goal has led to an impressive record of reported decisions, verdicts, and settlements. We have expertise in navigating the court system. We also have demonstrated ourselves to be effective and timely communicators who hold the utmost respect for our clients. Thanks to our thorough preparation process for every case, and to the implementation of our winning strategies, we have been able to produce exceptional results in many of our cases. New Jersey is not only our place of work, but also our home, which is why we are proud to offer our services all throughout the state. 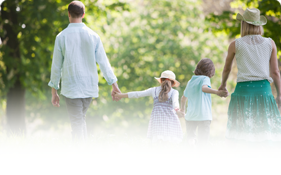 For those in Camden, Burlington, Gloucester, Cumberland, and Salem Counties, we extend our legal services to help you get the results you deserve in all family law matters. For more information on our services, please browse our practice areas page to learn how we can help you. 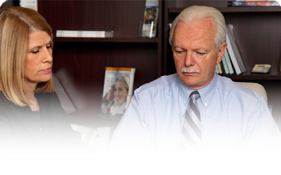 We are available to provide a free consultation on your child support, divorce, or other family law related cases. Be sure to read through some of our client testimonials to see how our practice has helped New Jersey residents in the past. Attorney Daniel K. Newman is a top-notch jersey child and family attorney as well as his supporting staff. I would highly recommend him to everyone who needs legal aide in these areas. Thank you Mr.Newman for you help. Couldn’t have done it without you! As a paralegal of 20+ years and as a former client of Mr. Newman’s, I can honestly say Daniel K. Newman is not only the consummate gentleman, he is a wealth of knowledge for his clients. At the same time, Mr. Newman is a force to be reckoned with in the courtroom, which is why I chose him to represent in my case matter. I never hesitate to refer friends, family or clients to the Law Offices of Daniel K. Newman for either matrimonial or personal injury representation, and would certainly utilize his services again if ever necessary. The site is very informative and helped me gain some insight into Attorney Newman’s practice. It allowed me to see the expertise and focus, even while I am not an out of state resident. The site truly was one of the main reasons I chose Attorney Newman and it provides an accurate depection of the high level of service. Attorney Newman is a man of his word and a top notch attorney. I was very pleased with my experience and would highly recommend Daniel Newman to others! He was knowledgeable, polite, and expeditious with my case. Daniel K. Newman has been my attorney for a good 20 years, and while, thankfully, I haven’t had any monumental legal problems, he has handled many of the services one often requires: wills, closings, estate matters, even suing a car dealer once under the Lemon Law. But if these matters are comparatively minor, they were treated by Dan and his staff with the utmost respect and professionalism. While I am happy I don’t need him often, I sleep better at night knowing Dan in my corner. I was extremely pleased with The Law Offices of Daniel K. Newman. I used Mr. Newman for some extremely confidential and sensitive family matters and was perpetually treated with respect and courtesy. Mr. Newman was always willing to answer any questions in a very straight forward and honest manner. He clarified issues that, at times, seemed confusing and upsetting, easing my concerns and putting my worries to rest.Mr. Newman helped me through a difficult time in my life while always letting me maintain my dignity. He is compassionate, empathetic and a consummate professional. Mr. Newman, along with his highly efficient support staff, resolved some extremely sensitive and difficult family issues resulting in a positive and equitable outcome.I would highly recommend The Law Offices of Daniel K. Newman to whoever is seeking legal counsel and wants to experience the highest quality of service, legal knowledge and professionalism a client can come to expect. I found myself in a very difficult situation and contacted Dan for assistance. Dan helped me tremendously. He is knowledgeable, experienced, and thorough. Dan took the time to answer all my questions and explain everything to me. I would recommend Dan to all of my family and friends and if I ever needed an attorney again, I would not hesitate to call him for help. Thanks Dan!!! I researched several attorneys in the area, however, Mr. Daniel Newman was the lawyer I felt the most comfortable with. He was very professional, patient, and has great communication skills. He responded to all of my questions promptly. Moreover, Mr. Newman and his team made me feel important by constantly recalling specific details of my case. His disposition, legal knowledge, and research abilities were outstanding, which, combined with his persistence, were instrumental in achieving the “best case scenario” outcome. Mr. Newman is very knowledgeable about the legal system and was well rehearsed when presenting my case to the judge. I would highly recommend Mr. Daniel Newman as he is an excellent lawyer and his remarkable ability to assist his clients with their legal needs is admirable.